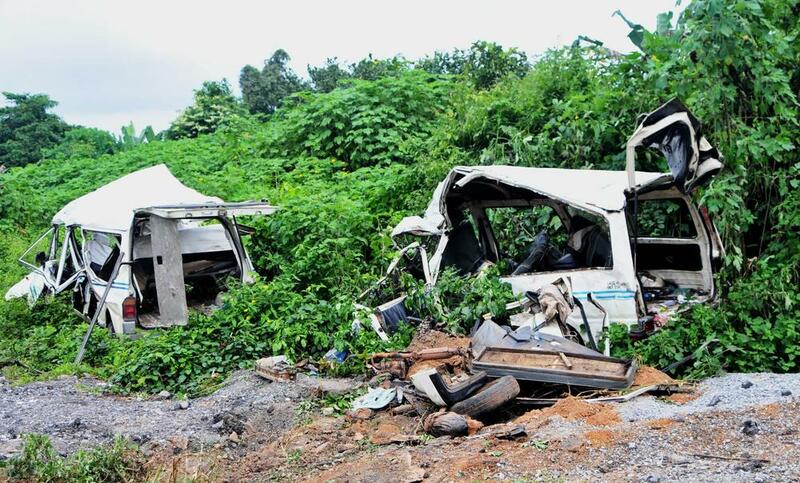 An auto accident on the Lagos-Ibadan highway has claimed 30 lives on Thursday night. Spokesman of the Federal Road Safety Corps (FRSC), Bisi Kazeem, confirmed the incident to the News Agency of Nigeria (NAN) in Abuja on Friday. 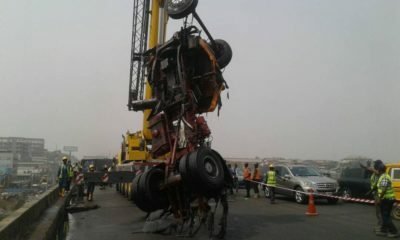 Kazeem said the accident occurred at about 8 p.m. at Km 95 around the Elebolo Quary Area on the Ibadan axis of the road. 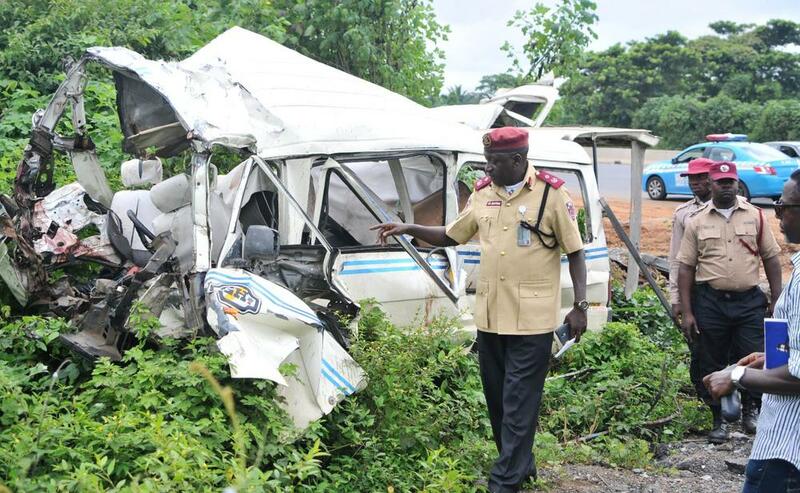 Head of Operations, Oyo State Sector of the Federal Road Safety Corps, Zango Mathew showing to newsmen carcasses of two inter-state commercial buses which crashed killing 30 passengers and injuring 10 others, at Elebolo village on Lagos-Ibadan Expressway on Friday (15/9/17). 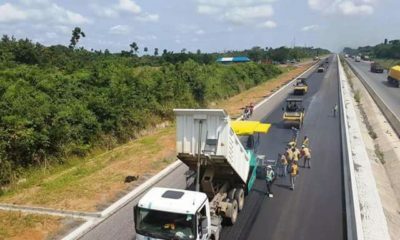 “This has further underscored the Corps Marshal, Boboye Oyeyemi’s advice to motorists to avoid night journeys, be careful around construction sites and drive within approved speed limits,” he said. Kazeem said rescue operations by FRSC officials, who arrived at the scene minutes after the incident, ended at 2:42 a.m. on Friday. 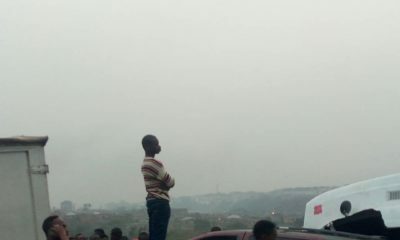 He disclosed that the corpses were deposited at Adeoyo Yemetu Hospital mortuary, Ibadan. The injured were taken to the University College Hospital (UCH), Ibadan, and Adeoyo Yemetu Hospital, he added.